Spelt is a grain very similar to wheat in appearance as well as properties but promises to house many more nutrients than what wheat can give us. Since wheat forms such an integral part of our daily diets, and spelt can be easily substituted for wheat, this grain can enhance our nutrient intake pretty easily. It has a tougher outer coat due to higher fiber content and hence its husk protects the inner nutrient stores of the grains. Spelt, as compared to wheat is higher in protein, calcium, magnesium, selenium, iron, vitamin E, and Vitamin B3 in particular. The flour is also more bulky and has a sweet and nutty flavor. However, those who are sensitive to wheat may also be sensitive to spelt as spelt contains small amounts of gluten as well. Generally, spelt can replace wheat flour in baked products and pasta. Spelt, like wheat, can also be subject to fiber extraction through fine milling which gives a white spelt flour variant that is far more lighter in colour and texture. The grains can may even be cooked and added to dishes like salads and bread preparations, something that we cannot use wheat for. 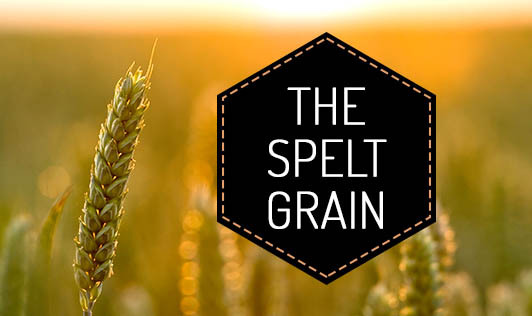 Though spelt may seem like a new cereal you are reading about, it has been used for centuries in Europe and finds a significant place in the agricultural fields of the United States today. In India, spelt flour has been available for some time but lack of consumer awareness about the nutrient value and method of incorporation into daily recipes, has restricted it to just a few market shelves.